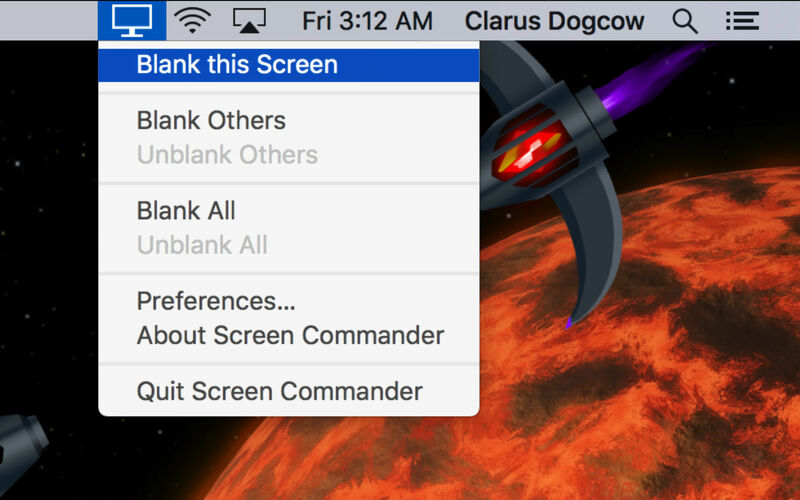 Is there a better alternative to Screen Commander? Is Screen Commander really the best app in Contextual Menus category? 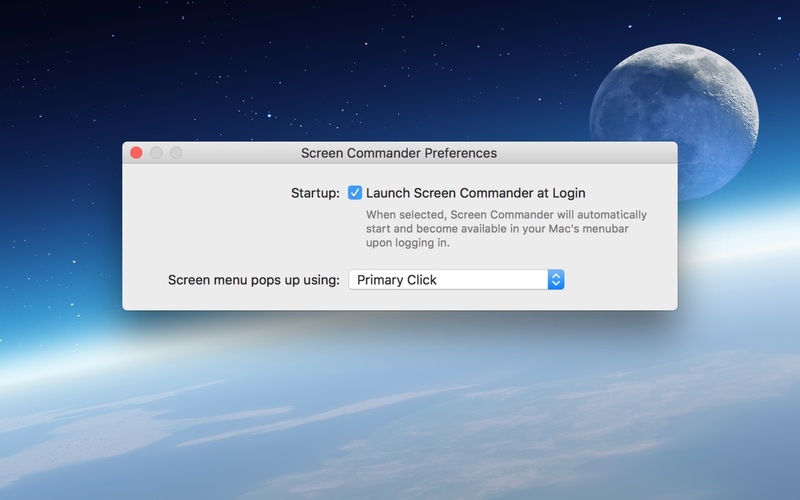 Will Screen Commander work good on macOS 10.13.4? 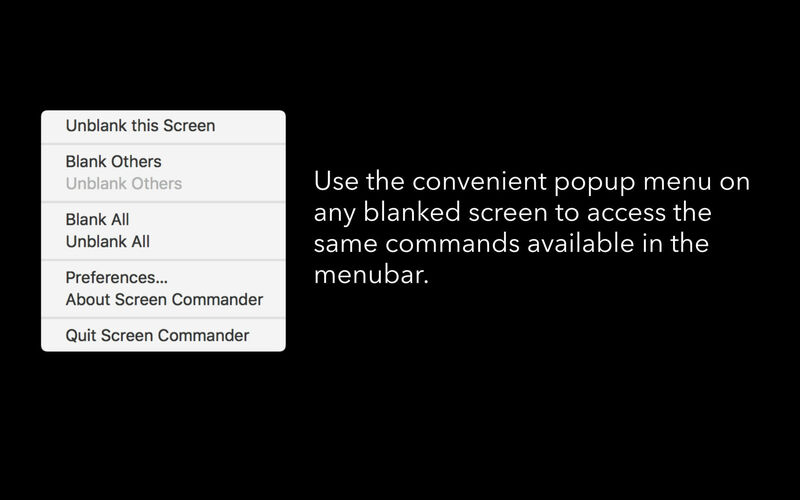 Screen Commander is a simple utility that lives in your menubar and provides screen blanking options at the click of your mouse. 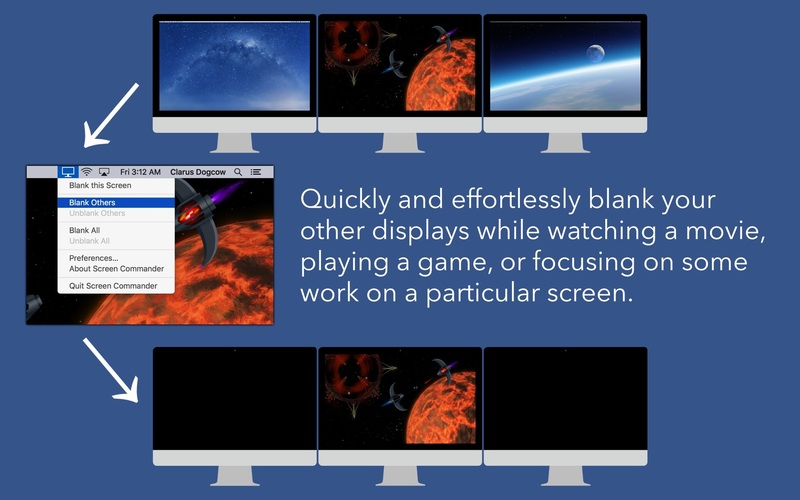 While Screen Commander works with even just one display, it is best suited to a multiscreen setup with two or more displays. Screen Commander needs a review. Be the first to review this app and get the discussion started! Screen Commander needs a rating. Be the first to rate this app and get the discussion started!